In the period between finishing my main February JRPG and starting my March one, there was a big period of free time between JRPGs for me. This isn’t to say March was a quiet month for JRPGs, especially since the highly anticipated Ni no Kuni II that I wish I played came out, but I had my heart set on playing Atelier Lydie and Suelle that was due out towards the end of month. As I waited for Lydie and Suelle, I played catch up with many demos and experiences involving game series I love like Persona O.A., while being pleasantly surprised by series I tried for the first time like Yakuza 6. Whether it was the deep story of Yakuza 6 or the cute, slice-of-life adventures of Atelier Lydie and Suelle, there was a lot of variety in what I played, so here are all the JRPGs I played in March. I waited most of March for Atelier Lydie & Suelle and the relaxing collection experience I hoped it would bring and I’m happy to say I’m enjoying its alchemy mechanics and light-hearted story so far. As the demo had me expect, its bright and fun characters are as charming and playful as expected and while it might lack the sense of urgency that a lot of JRPGs have these days, the deep collection and alchemy systems make for a fun JRPG experience to play at your own pace. 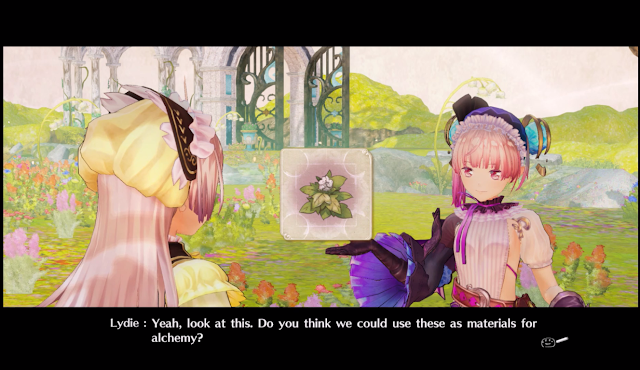 Since this is my first Atelier game, everything is very new to me and I’ve been enjoying its pretty landscapes and humourous encounters for the first time, along with collecting recipes and items that I’ve enjoyed in other games in a larger portion in its addicting synthesis mechanics. Whether it be crafting butterfly nets or watching Lydie and Suelle have funny conversations with all the friends they make, I’m enjoying the more relaxed pace of Lydie and Suelle and am looking forward to collecting more materials in its various unique landscapes soon. If Atelier Lydie & Suelle was my favourite JRPG of March, the very different Yakuza 6 would easily be a close second. Seeing people talk about it and thinking its side activities looked like a lot of fun, I downloaded its demo and was pleasantly surprised by its deep story. I expected it to be full of a lot of action, but there were plenty of emotive moments in its first few scenes that made me feel invested in its main character in a way I hadn’t expected, so this game I initially downloaded to run around a Tokyo city where the protagonist can sing karaoke has now become a story I’m properly invested in. 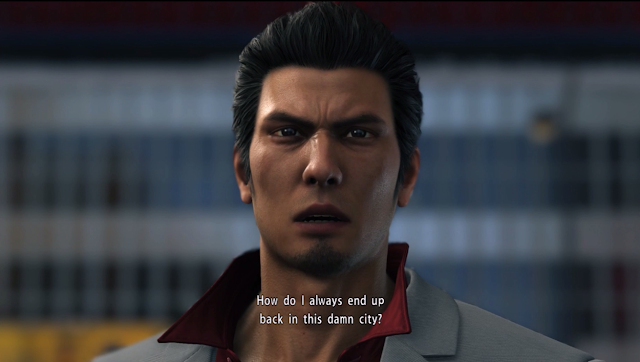 I hope to pick up its full version in April and talk about it more soon and if you’re like I was and a little curious about Yakuza 6 but unsure about it, I recommend giving its free demo a try to see if it will hook you in as well. Another demo I tried in March was the one for Valkyria Chronicles 4, another series I was trying for the first time. While it was my first time with the Valkyria Chronicles series, I know a lot of people love the first one a lot and I’d always thought its storybook style of storytelling seemed like a cool way to tell a story, even if its Japanese in its demo was a lot harder than what I’m used to. 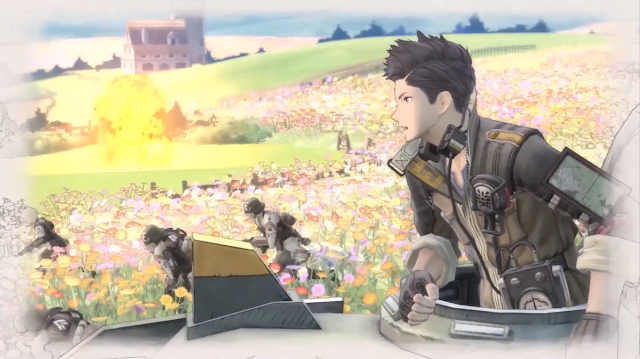 I’ve played tactical JRPGs before, but I really like the tactical style in Valkyria Chronicles 4’s demo. It’s a nice fusion of active and typical tactical gameplay with its 3D map and obstacles, and I liked how its many classes took advantage of this 3D space with targeted weapons like grenades and tanks that really mixed up what’s usually a slower gameplay style. In spite of a stronger language barrier for this demo, the mechanics have gotten me intrigued so far and I’m looking forward to getting to know its story and combat intricacies more either when I eventually play its first game or when it gets its Fall release. 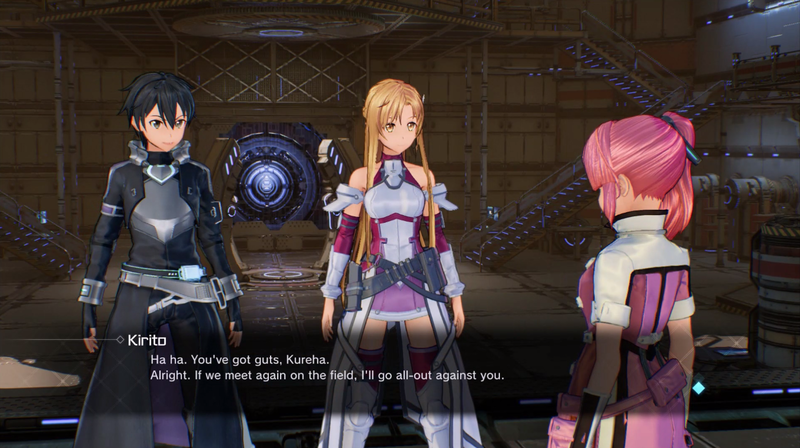 Sword Art Online: Fatal Bullet was another JRPG surprise in terms of how much I liked its characters by the end of it. During March, I was just coming to the end of Fatal Bullet and was genuinely surprised by some of its plot twists with its new characters. I really enjoyed shooting and fighting in its big world and the amount of customisation available and would like to come back and get its true ending sometime. I did try to start my quest towards getting its true ending, however the amount of raising friendship levels I have to do made it a little daunting and as much as I’d like to see the super random bed scenes with each character, it seemed like a lot of work to do for what will probably be a quick bit of amusement. I think I’ll come back to it sometime when I’m in the mood to make a new character and witness all of its story again, but for now I have fond memories of the engaging battles with Sword Art Online’s cast of old and new characters. It might not have had its gameplay features added yet, but I checked out the initial version of the Japanese Persona support app Persona O.A. when it came out in March. I already made a post about what the app is and will be in more detail, but it's currently mostly just a Persona news app with details about the upcoming Persona 5 the Animation release with Persona Points added to let those using it either buy wallpapers, enter competitions or save points up for when its gameplay features will be put in. 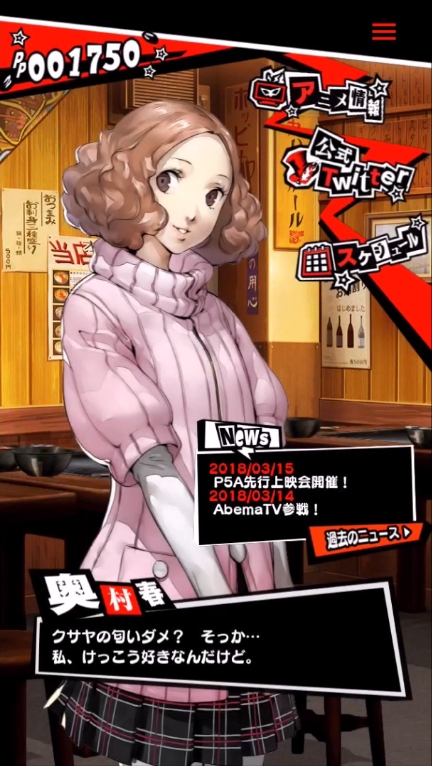 I don’t know when the gameplay mechanics such as the dungeon crawling and new conversations will be put in, but I am still signing in daily to collect my points and to check if I’ve won access to any of the Persona 5 anime pre-screenings, so I’ll be very ready to play when its full features are finally added. And if Persona O.A.’s job was to keep Persona 5 fresh in my mind, it very much succeeded as I was reminded of my Persona 5 platinum goal while I waited for Atelier Lydie and Suelle to come out. I didn’t get much progress into actually getting trophies, but I did enjoy the vibrant animated scenes of the groups school trip and the lead up to the next dungeon when I opened it up for a quick hour in March. Hopefully next time I play I’ll get into one of the palaces or at least into raising my confidant ranks again, but it was nice to have some English time with Persona 5’s characters in March after seeing its characters pop-up with Japanese dialogue in Persona O.A..
Hopefully none of you noticed too much, but in a few of my March videos I was recording with what I think was a pretty bad cold, so I ended up being home more than I expected at the start of March and with Sword Art Online: Fatal Bullet all finished, I couldn’t think of a more fun and relaxing experience to play with while sick than Xenoblade Chronicles 2. I’m going through New Game Plus at the moment to re-experience the story and to try and get those new special blades and while I haven’t had any success with obtaining those blades yet, it’s just been nice to go through the story slowly and take time to explore and do quests as I go, especially as I can open more chests and secret things thanks to the blades carried over from my first playthrough. 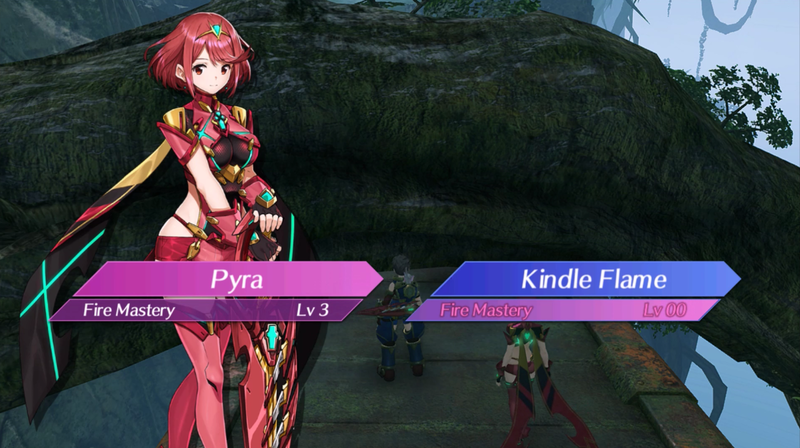 I’m still trying to get those extra blades but there are still endless things to do in Xenoblade Chronicles 2 that will keep me coming back to it for a while at my own pace, which made it what I think is there perfect game to play while sick but I also hope to come back to it with more energy sometime to keep expanding my blade collection. Between demos, making content and trying new experiences, I yet again didn’t give myself nearly enough time to play Persona 2. 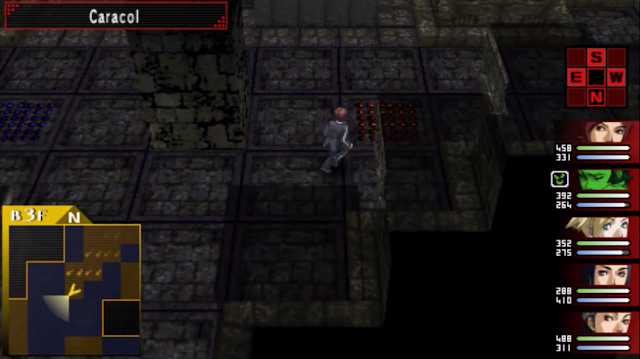 However I did play it for more than a few hours and I got deeper into the new dungeon I entered last month. It’s a little bit of a puzzle-y dungeon with its big floors and twisting paths and I’m very much relying on my map progress showing me where I’ve already been to get me through. I’ve fought one special fight in it so far, so I hope to get to the top soon where hopefully there will be more story waiting for me. Unfortunately between next month’s releases I don’t know if I’ll get a chance to play it soon, but I’m keeping my Vita ready for the next chance I get and am not giving up on this slow JRPG sidequest. Before I played Yakuza 6, I didn’t have many plans for April in terms of what I was going to play. 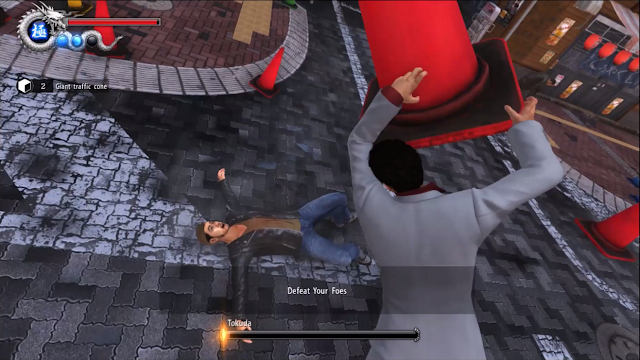 There are a few things coming out, but nothing that was significantly catching my eye until I played Yakuza 6’s demo and now I definitely want to keep playing it next month and hope to buy it if I finish Atelier Lydie and Suelle before its release date. 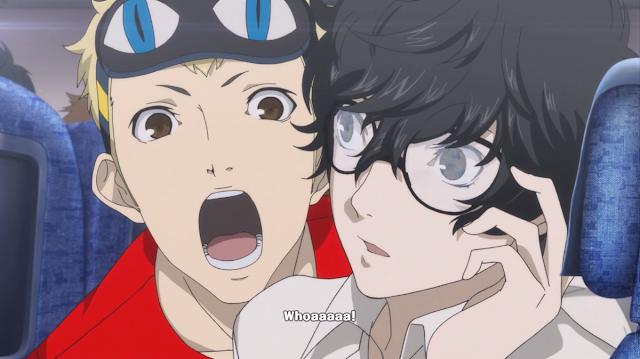 Before Yakuza 6, my main JRPG plan for April was just to watch Persona 5 the Animation since it comes out fairly early in the month and because anime episodes are much shorter than a full JRPG, I should definitely be able to do that as the weekly episodes come out and I’m very excited to do it. And since April is a quieter month, I deep down hope I’ll get some time to play Persona 2, but if end up going straight from Atelier Lydie and Suelle to Yakuza 6, I may or may not actually get a chance. Either way, I’m currently enjoying Atelier Lydie and Suelle a lot with its recipes and collection, so that will be my main goal for the start of April and any other fun JRPG experiences will be a nice bonus to another fun month of playing JRPGs. You can pick up/pre-order most of these games on Amazon! What did you play in March? What your JRPG plans for April?